Ocato was born in Firsthold, in the Summerset Isles. He eventually found his way to Cyrodiil and became a Chancellor of the Elder Council, and a famously competent and trustworthy servant of the Empire. The fact that Emperor Uriel Septim VII chose him as the new Imperial Battlemage after what his previous Imperial Battlemage had put him through speaks volumes, and Ocato would become the Emperor's closest confidant and chief adviser. Ocato purportedly helped the Emperor carry out some of the most important and sensitive plans of his reign, including the dispatching of a Blades agent to Daggerfall (which precipitated the Miracle of Peace) and assisting the Nerevarine in Morrowind. Ocato's performance during and after the Oblivion Crisis became the subject of much debate. While the majority of the Counts and Countesses of Cyrodiil applauded his efforts in holding the Empire together and commiserated with the difficult situations he faced, some felt he used the crisis as a means of securing more power for himself and that he was inordinately concerned with other provinces even as gates leading to Oblivion began to open across Cyrodiil's landscape. However, by all accounts, he performed capably as the Empire's de facto ruler, despite the limited resources available to deal with such a massive crisis. And despite the concerns of these counts, Ocato apparently abandoned Morrowind altogether during the crisis, pulling Imperial forces there back to better protect Cyrodiil, a betrayal the Dunmer would not soon forget. However, Ocato himself stated that he couldn't pull any forces from the other provinces for Cyrodiil, due to the Imperial army already being entirely committed and because a withdrawal of forces would result into a political crisis. 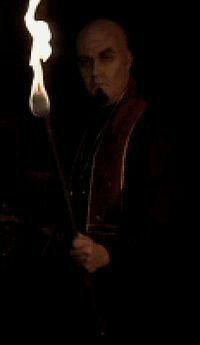 When Martin Septim finally came forward as heir to the Dragon Throne, Ocato was quick to convene the Elder Council and recognize him as Emperor, inaugurating what would become the shortest but most widely respected reign in the history of the Empire. Ocato helped protect Martin during the massive attack on the Imperial City that immediately followed the coronation, and was with the new Emperor up until Martin entered the Temple of the One to face his destiny. After Mehrunes Dagon was defeated, the Hero of Kvatch informed Ocato of Martin's fate, and that he was once again the Empire's de facto ruler. Ocato's first act was to grant the hero the highest rank in the Order of the Dragon, becoming the seventh Champion of Cyrodiil in history. While the Oblivion Crisis certainly did have the effect of giving Ocato vastly greater power and authority, by all accounts he took on the position as Potentate in accordance with the Elder Council Charter, after he had exhausted alternatives, and with appropriate reluctance, as he knew better than anyone that there were "troubled times ahead". Following the end of the Septim Dynasty, Ocato steered the Empire through the opening days of the Fourth Era and the secession of Black Marsh, and was reportedly making significant progress at healing Tamriel when the events of the Red Year brought new, devastating rounds of crises for Ocato to deal with during the last years of his life. Ocato took the reemergence of the Thalmor as a dominant political force in the Summerset Isles more seriously than most. 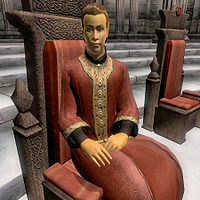 Thanks to his heritage as an Altmer of Summerset and his extensive experience with the governance of the Empire, he was familiar with the Thalmor's history as a radical and anti-Imperial group, and he seemed uniquely well-suited to recognize and respond to the threat they posed. To the Thalmor, Ocato was no doubt a primary obstacle to their plans to reform the Aldmeri Dominion. In 4E 10, Ocato was assassinated, and the course of Tamrielic history in the Fourth Era and beyond was changed forever as the Stormcrown Interregnum began. Within twenty years, the Dominion would be successfully reborn, and the stage for the Great War was set. Though he was not otherwise in the game, Ocato appeared for the first time in the opening cutscene of TES II: Daggerfall. Letter to Mother, written by Brother Piner in TES IV: Oblivion, suggests that by 3E 433, Ocato and the Council had been the ones really "running the Empire" for fifteen years.